Situated in the middle of the North Island, Poronui is one of the world’s most prestigious sporting lodges. It is renowned for providing some of the world’s best wilderness experiences and breathtaking scenery to anglers, hunters and discerning guests from around the world. Poronui’s owners had noticed their website performance was stalling, with particular concerns around the engagement rates dropping off from their priority markets. Overall, booking enquiries from their websites and response to their regular email marketing campaigns were declining. At the same time their digital marketing was consuming a lot of time for these diminishing results; they needed to find a new approach. 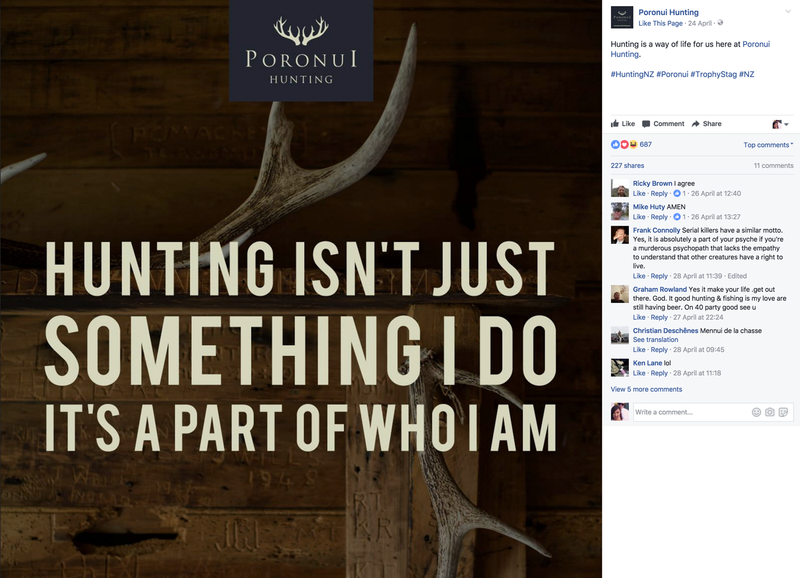 Having moved away from more traditional activities like trade shows, Poronui had significant reliance on making a success of their digital marketing strategy. 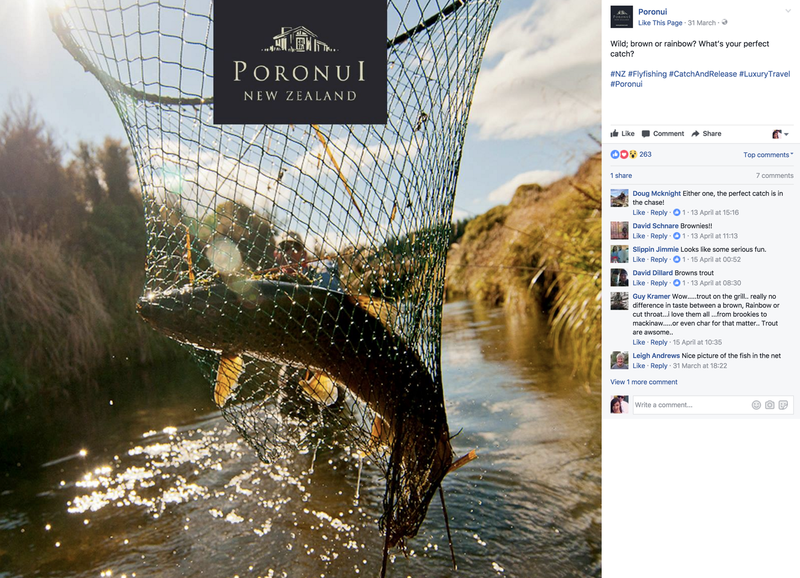 Poronui's digital marketing was consuming a lot of time for these diminishing results; they needed to find a new approach. Poronui needed a digital partner that would help them grow. Calibrate created a strong content-led digital strategy to be deployed across their key digital channels: social media (Facebook content posts and Facebook advertising), website, search (paid and organic), and campaign and automated email marketing. In email, Calibrate designed and built a customisable modular email template for each of Poronui’s brands and enabled Google Analytics tracking on email, giving us insights to maximise engagement and conversion across geographies. We optimised engagement rates further by developing an email content strategy that uses segmentation to personalise the content according to their subscribers’ interests, location and contact type. Their website engagement and enquiry improved via sign up forms, live chat and heat map analysis. And in social, we developed a Facebook Content Strategy supported by a Facebook advertising schedule; engagement has skyrocketed- here are a couple of examples- the posts below reached 31,096 and 5,979 Facebook users, and achieved 227 shares plus 685 and 265 likes respectively. “We are seeing great results with Calibrate – and we love working with them too. The tools we now have available for managing our digital marketing are excellent. The whole process has been streamlined, saving us time and effort, and made more effective across the board." 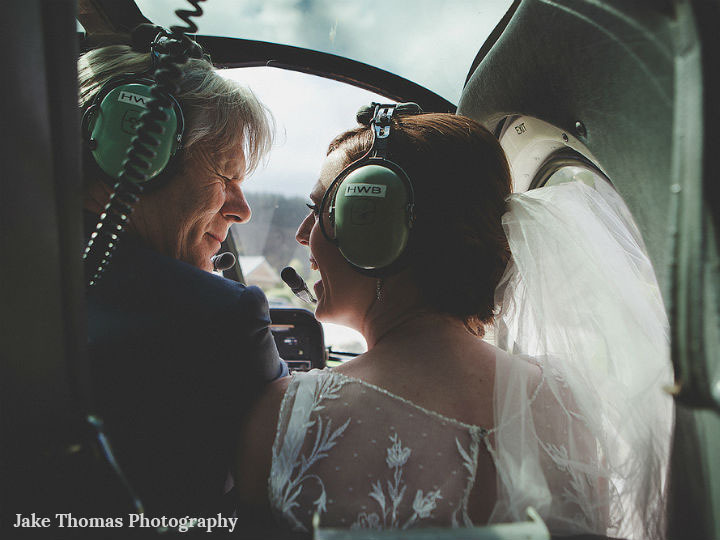 "Our facelifted email newsletters have never-before-seen open rates, and are generating both enquiry and bookings for us. We’ve received positive feedback from our guests about our new approach. Our social media strategy has been overhauled, with updated content strategy to share more of our brand story and points of uniqueness as well as achieving our tactical aims. Our targeting and remarketing has improved. Since working with Calibrate, we have generated multiple 12 month + forward bookings for experiences that hadn’t previously had any forward bookings. " "Our access to reporting, best practice and ideas is great, enabling us to constantly monitor, learn and improve. Overall, enquiry is well up and traffic from our priority markets has strengthened. We value the input from the team working on our account – having subject area experts involved in the various aspects is valuable and they keep us on track and accountable to deadlines in the loveliest possible way."